Three years on a chance to sample The Good Doctor's Tonic from McLaren Vale and Adelaide Hills. The Good Doctor's Tonic comes courtesy of RedHeads Studios in Australia. RedHeads Studio was set up in McLaren Vale in 2002 by Tony Laithwaite of Laithwaite's. Back in 2010 at the time The Good Doctor was made, the studio was comprised of young winemakers like Adam Hooper (La Curio), Andrew Pieri (Azzardo), growers like Nat McMurtrie (Pikkara) and the local GP Matt Brown who is responsible for the Good Doctor. They work for mainstream growers during their day jobs then come to RedHeads to experiment in their desire to make wines that are different to anything else on the market. I originally wrote in 2012, "The Good Doctor, Dr. Brown, has delivered indeed in producing a special red wine. its an unusual blend that it includes Tannat, best known for being grown in South West France and Uruguay. Tannat's thick skin produces very tannic wines and in warm climates produces good fruit flavours while still retaining lots of natural acid, a good counterbalance to cabernet sauvignon and shiraz. As the description on the bottle points out, is it long lived with layer after layer of fruity flavours. Black berry on top but with something unusual underneath, almost savoury/bitter. " Now in July 2015, the tannins have softened further and the wine had extra layers of complexity with the fruit balanced by spicy and savoury notes with the length reassuringly long and pleasant. Shaw + Smith began over a long lunch in 1989 when cousins Martin Shaw and Michael Hill Smith decided to realise a long held dream to make wine together. They specialise in Sauvignon Blanc, M3 Chardonnay, cool climate Shiraz and Pinot Noir and their winery was built in time for the 2000 vintage. Michael Hill Smith was the first Australian to pass the Master of Wine examination and in 2008 he was awarded an Order of Australia for his contribution to the Australian Wine Industry. Featured on Decanter Magazine’s power list 2009, 2011 and 2013. Michael is an international wine judge, wine consultant and strong advocate for Australian fine wine both within Australia and internationally. 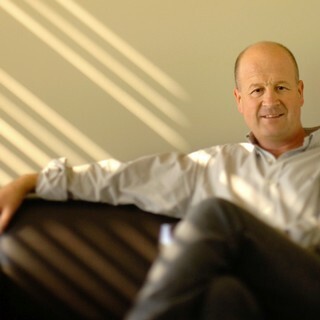 Martin Shaw is a winemaker with considerable international experience. He graduated from Roseworthy College in 1981 and worked with Brian Croser at Petaluma for eight years prior to setting up the 'Flying Winemakers' network in France, Spain, Chile, Australia and New Zealand. Although grapes were planted as early as 1839, it was not until 1979 that viticulture was revived in the Adelaide Hills. Over the last three decades the Adelaide Hills has built a reputation as one of Australia's most exciting cool climate regions producing distinctive, refined and elegant wines. Today there are more than 95 producers and over 4000 hectares of vineyards. Located in the Mt Lofty Ranges thirty minutes drive from Adelaide, the Adelaide Hills forms a narrow corridor 70 kilometres long and 30 kilometres wide. The undulating topography offers a wide diversity of vineyard sites. The elevation varies from around 400 metres at Macclesfield, to 600 metres at Piccadilly and 700 metres at Mt Lofty. 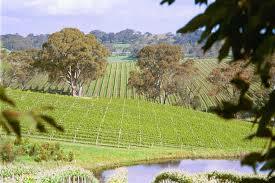 The Adelaide Hills is bordered to the north by the Barossa and Eden Valleys with McLaren Vale to the South. Due to its altitude, the Adelaide Hills is significantly cooler than these more traditional regions - on average 4°C cooler during the day and 8°C at night. The cool, dry summer and autumn ripening conditions produces grapes with ideal fruit composition, in terms of concentration, spectrum of flavour and natural acidity. Sauvignon Blanc and Chardonnay are particularly well suited to the cool conditions of the region and produce some of Australia's finest examples. Shiraz, Riesling and Pinot Noir are equally impressive, but careful site selection and yield management are essential. The Shaw + Smith Shiraz 2012 is one of my favourite Australian reds and is a real demonstration of what the country can achieve with Shiraz in a cool climate area. The 2012 vintage was excellent in the Adelaide hills, albeit of low yield, with good weather and without any extremes of temperature. The wine's grapes were sourced From low yielding vines at Balhannah, in the central Adelaide Hills, and Macclesfield, the warmer and drier sub-region to the south. Low yields were achieved by aggressive pruning and pre harvest bunch thinning with the Shiraz grapes being hand picked, crushed and fermented on skins in small fermenters with hand plunging and gentle pumping over to extract colour, flavour and tannin. The wine was aged in new, one and two year old French barriques for 14 months. A medium bodied wine with a powerful nose of blackberry and red berry with a nicely balanced palate of fruit and savoury notes including raspberry with fine tannin and pepper reminiscent of a good Rhone valley red. Finally a long finish with the grippy tannin to the fore. A tremendous bottle of Shiraz to enjoy, particularly with red meats and cheese.